At last! We’re almost at the end of January, my lovelies! How are you feeling? I’ve have a completely crappy month and can’t wait to say Hello February, what surprises do you have for me? Well, I might not actually say that because it would be weird and people tend to look down on/avoid weird, don’t they? And I’m being avoided quite enough at the moment. Anyway, I have some exciting new skincare news for those of you look for a bit of brightening up. 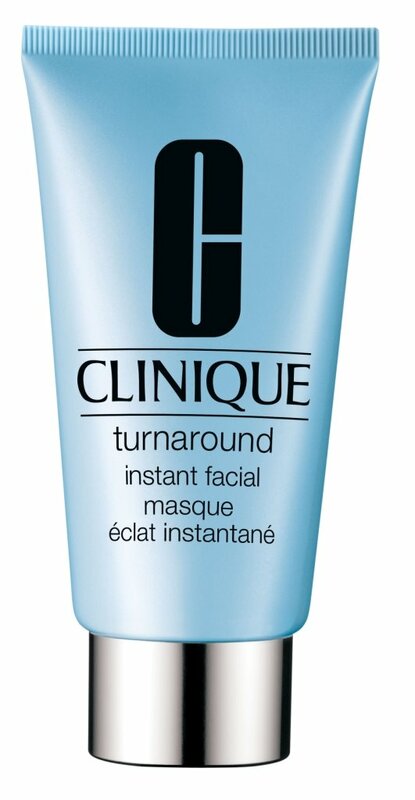 Clinique have introduced a new member to the Turnaround family – the Turnaround Instant Facial. Sounds good, right? What’s even better is that in just five minutes, you can enjoy physical and chemical (ooh-err) exfoliation that improves your skintone and leaves you with a brighter, fresher complexion. Hurrah! Chestnut extract to enhance cell turnover activity, my good friend salicylic acid, acetyl glucosamine, an amino sugar (sounds important), salvia sclarea extract ferment (sounds v.v. important), adenosine phosphate and creatine (deffo vital), diatomaceous earth, my favourite skincare ingredient that sounds a bit like a dinosaur, rice bran extract to fight free radical damage and caffeine so you don’t have to drink so much coffee.